One must, however, remember that the amount of sleep is not enough. To maximize the benefits of sleeping, it is both quality and quantity. Some people, despite getting an eight-hour sleep, still feel sore, tired, and sick when they wake up, most of which complain about back pain. This is where a great bed should come in. Apart from a good mattress for back pain, people should learn on how to invest in a good mattress topper. The problem is we are fed up with several mattress toppers claiming wonders. If you cannot decide, do not fret. We have listed down the best mattress toppers for back pain. The quality of sleep a person gets has an enormous effect on his quality of life. A long list of research and studies has supported the fact that sleep is an important aspect in overall health and wellness. Your performance during the day has a lot to do with the quality of sleep you had the night before. A good night sleep results to a more desired emotional, mental, and physical well-being. Mattress toppers vary according to texture and size and they also come in different types, each of which has its own features and benefits. These include the more common latex, memory, and wool mattress toppers. So we need to know this before we find the best Mattress Toppers for Back Pain. Other mattress toppers are made of egg crate, down feather, and cotton or polyester. The importance of a mattress topper is primarily categorized into two. First, it protects the mattress improving its longevity. External factors like dead skin, bacteria, and perspiration may damage your mattress. To prevent the same, you will probably need a reliable mattress topper. Second, it improves comfort in your bed. The toppers vary in firmness and density that will suit one’s preference and needs. ​Natural latex is made from liquid in rubber trees. They are relatively more expensive than other types of mattress toppers. It could either be a pure latex, known for its sweet scent, or blend latex, which is a combination of natural latex and synthetic ones. 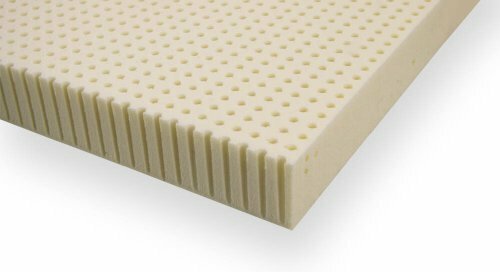 The advantage of latex mattress toppers is that they are non-allergenic or antimicrobial. It is effective isolating motions especially if you share the bed with another person. Moreover, latex mattress toppers are recognized for their durability and longevity. It is, however, more pricey and may produce allergic reaction to those who have latex allergy. Another popular choice is a memory foam mattress topper. It is a perfect alternative for memory foam mattress, which is way more expensive. The problem with memory foam is that it normally emits odor or smell upon opening the package, which nevertheless dissipates after a couple of days. But it is ideal for those who are looking for a mattress topper that provides ample support against back, joint, or muscular pain. 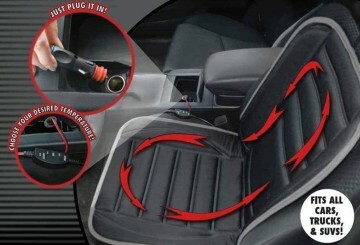 It easily conforms to the body of the sleeper and isolates motion from both sides of the bed. Since memory foam tends to trap body heat, make sure you get a breathable one. The Lucid 3-Inch Ventilated Mattress Topper is a great essential for anybody who desires a sound sleep at night. It's one of our best mattress toppers for back painI. 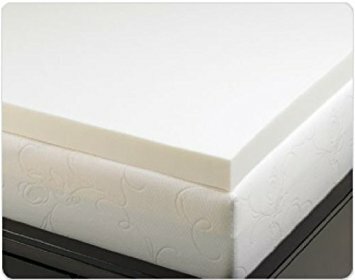 It is constructed with 1005 premium memory foam that maximizes the comfort and protection you get from a mattress topper. This 3-inch memory foam features hundreds of holes and spaces that improve airflow and breathability for maximum comfort day and night. The open cell construction of the mattress topper does not leave body impressions for long. This is definitely one of the best mattress toppers for back pain because of its soft consistency that reduces pressure points and distributes body weight evenly across the surface. As it maintains the natural curvature of the body, you are more likely to wake up to sore-free mornings. This memory foam from Lucid is available in different sizes and at a price you can afford. If your conventional mattress topper is causing you a sore back the next morning, then having the 3-Inch Talalay Latex Medium Mattress Topper, one of the best mattress pad for back pain, might be the key. What we like about this mattress topper is that it comes in three firmness options, with medium latex topper the most ideal for people who prefer a a soft mattress and pressure point relief. A luxurious feeling of this mattress topper can make good bed to a great one especially with its natural bamboo fabric for a cozy feel. 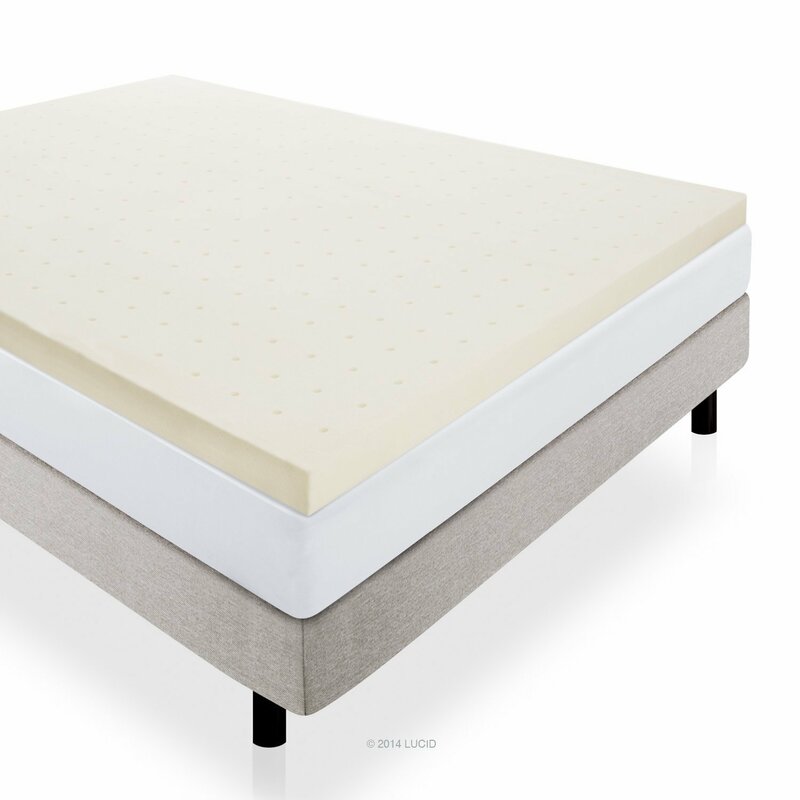 We like the fact how this 3-inch Talalay latex immediately conforms to the body and relieves stress on pressure points because it has 33% more pressure relief than any other. This 3-Inch Memory Foam Solutions Mattress Topper is a bestseller. With its goal of improving a person’s quality of sleep, this mattress topper boasts of its several features that you need to pump up the greatness of your bed. This 4-pound density and 3-inch mattress is superior in providing comfort to the body so you sleep better and wake up to wonderful mornings. The foam conforms to the body at any temperature. It will not take long for someone to notice the extraordinary pressure point relief from this mattress topper. Hopefully, this list of the three best mattress toppers for back pain has helped you make up your mind as to which topper to choose. 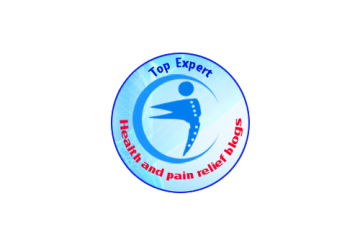 Finding the best mattress topper for back pain will necessarily have to take into consideration several factors like firmness, support, pressure point relief, comfort, density, heat system, and materials. Whatever it may be, make sure that it does its job well, both for comfort and protection, and truly worth the price. It is time that we change how we perceive the importance of the quality of sleep we get.